Today we have guest blogger and BBQ extraordinaire Richard Holden talking us through how to cook your Christmas Turkey on the barbecue – and we must say, it looks delicious! So, over to you Richard…. Christmas lunch must be the biggest meal of the year in most homes up and down the country, and with the risk of bringing together so many items at the same time the jeopardy is extremely high! With so many dishes being created in a kitchen that can often seem under equipped to cook even a mid-week family dinner, the idea of an additional oven on December 25th appeals to so many of my clients. With this idea in mind I spend a lot of time in November and December talking people through how to use their barbecue to roast the turkey on Christmas Day, and it’s not as hard as you may think. Just as you would set the oven to the correct temperature, so it’s necessary to do the same when roasting on your grill. Using a fuel that you’re familiar with it’s important to part the coals (or gas burners) and leave a gap in the centre of the BBQ. With the cooking grate in-place you’re now ready to place the bird in the roasting zone, close the lid, and start cooking! If it’s your first time cooking the Christmas turkey outside I would advise sticking with the recipe you know your family and friends love, and I very much stick with a traditional approach to getting my turkey ready for the grill. Wedges of lemon and onion are popped into the cavity along with some fresh thyme and sage, and the outside of the bird is seasoned with sea salt and cracked pepper, before being covered with an abundance of streaky bacon rashers. The bacon is then cinched over with a sheet of tinfoil, just large enough to hold the bacon in-place, and the lid is closed. 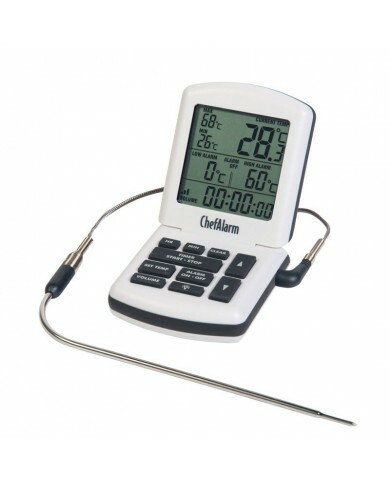 Usually they cook a little quicker, but it can depend on a few things, such as whether you cook the turkey straight from the fridge or whether you allow it to come to room temperature before starting the cook, and how well you manage the steady cooking temperature within your barbecue. 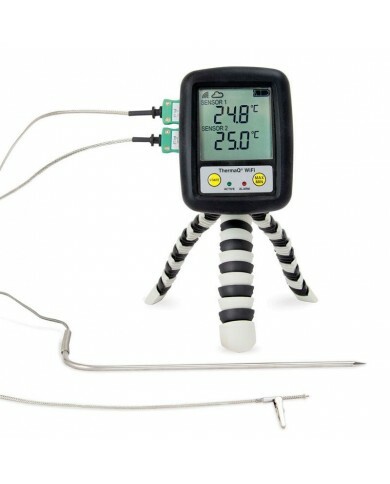 Both of these aside, I use time as a guide and a temperature probe as my absolute! As a guide I would do the calculation of 18 minutes per 454g plus 18 minutes, just so I know how far in advance I need to start cooking the turkey. My absolute though is that the bacon blanket is removed around 54-55c, and the turkey continues cooking until a core temperature of 68c is reached. *Removing the bacon at 55c allows enough time for the exterior of the crown to turn a beautiful golden brown before it’s time to remove the turkey to rest. It also means you get to enjoy a bacon sandwich a few hours before the main meal, with the crispiest bacon you’ll get all year!! 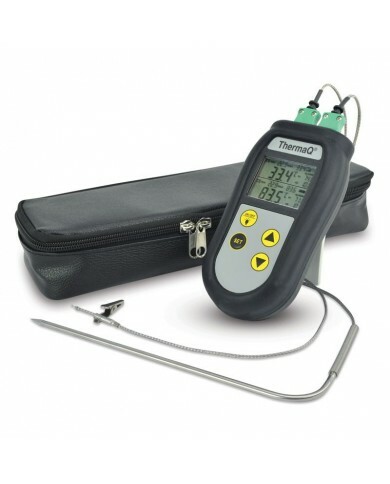 For anyone who uses a temperature probe often removing chicken or turkey from the heat at only 68c may seem on the low side. Given that food continues cooking even after it’s off the heat source, it’s important to remove the turkey from the barbecue 6-7c early to allow it space to rest up to 74c, and not to overcook. Once removed from the barbecue I wrap the bird in tinfoil, cover the whole thing with a couple of thick t-towels which act as duvets, and place on a warm serving plate on the kitchen counter somewhere warm while I turn my focus on the rest of the cooking. I keep my Thermapen inserted in the thickest part of the meat as it rests so I can keep an eye on the core temperature, and to make sure it reaches the safe final temperature of 74c. One final note on resting a turkey is that it can rest for almost the same time as it cooked. Don’t be in a rush to cook it only to rest for 20 minutes and carve at the table. Leaving it well insulated to rest will help retain the heat and more importantly the juices. It also means you have more cooking space to finish off everything else before carving the juiciest turkey of your life!